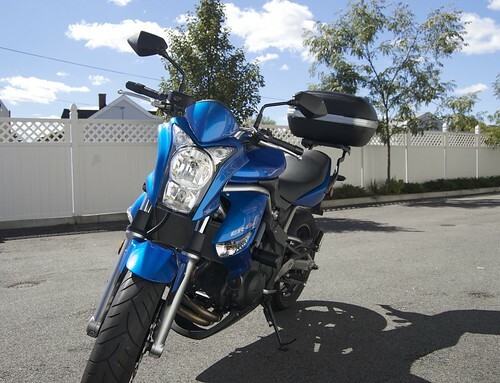 I have a blue 2009 Kawasaki ER-6n and I have recently mounted a Givi v46n top case on the back. 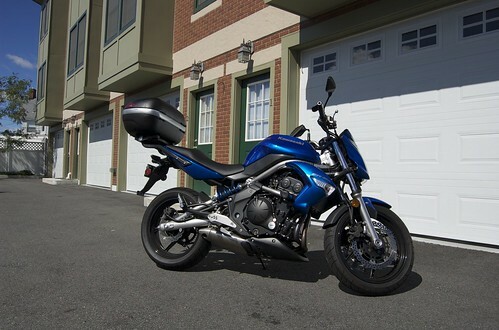 Prior to the Givi case I had a $50 JC Whitney case mounted. While the JC Whitney case worked, the Givi case looks much nicer. 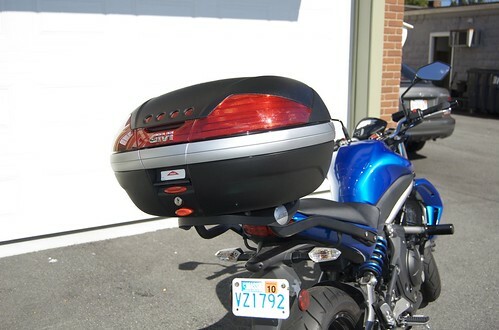 The case is mounted on an FZ449 Givi rack. 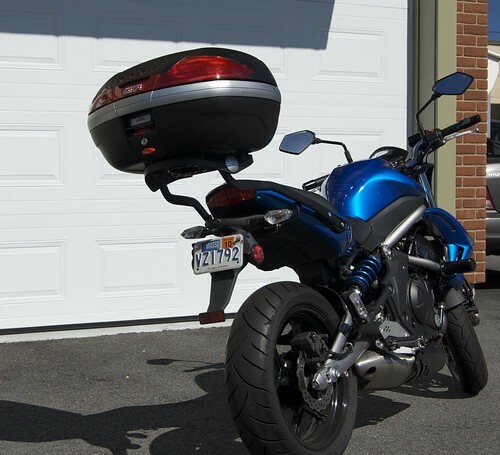 I love having hard luggage on my bike. 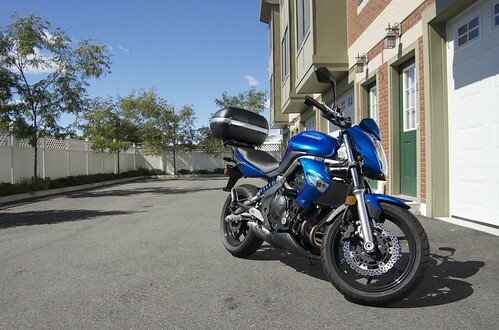 It is so convenient to always have a place to throw a grocery bag on the way home for work or a safe place to stick your helmet when you need to run an errand. 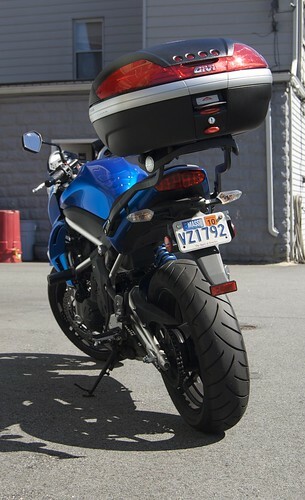 I have an ER-6n as well and have been thinking about a getting a hard case to I don’t have to wear a backpack to the gym. 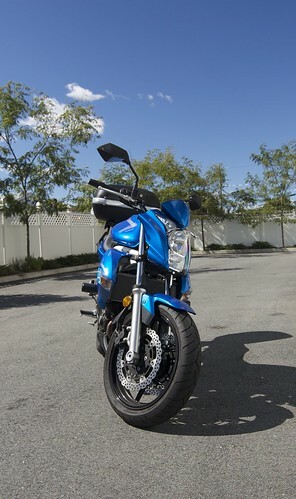 This page is exactly what I was looking for because I was thinking about the Givi cases. 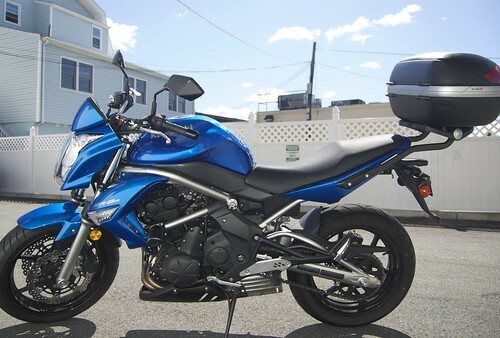 Hi, I just got a ER6N and plan to put a v46 on it. Thanks for posting what it would look like. 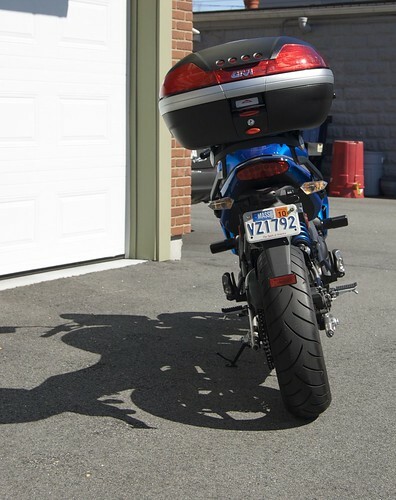 I see you have some frame sliders…what kind are those? Are they easy to install yourself? Did you happen to wire any admore lighting the case? did you find the right wires easily?